Envision smart features and easy connectivity options that help get the job done. The right features and a crisp, clear presentation, combined with a thoughtful design provides you with a smart investment for today and into the future. 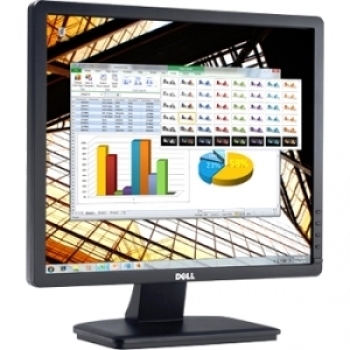 Enjoy clear, sharp HD pictures, easy connectivity and comfortable use with the Dell E1913S monitor. Work comes into focus with crystal-clear 1280 x 1024 at 60Hz HD resolution, while a deep palate of 16.7 million colors and 83%1 color gamut adds outstanding visual variety. View your legacy or customized office applications the way they were meant to be seen with an elegant 5:4 standard aspect ratio presentation. Tailor your settings to suit your applications with the Automode tab found in Dell Display Manager. You can manually adjust your settings as you go, or auto-assign optimum preset modes to specific software applications and media players. Easily connect your desktop or laptop to the E1913S via a standard VGA port.